“I have the most tender and amazing memories of my childhood home. I would even say that I owe my whole life and my style to its site and its architecture”. To Christian Dior, the villa Les Rhumbs in Granville, Normandy where he spent his early childhood, was an inspirational place. Today it houses the Christian Dior Museum which opens each year from May to October with a different temporary exhibition. Les Rhumbs is a delightful Belle Epoque mansion on the clifftops of Granville looking out over the sea towards the Channel Islands. It was built by a shipowner who named his new house Rhumb. A 'rhumb' is an imaginary line on the earth’s surface used as the standard way to plot a ship’s course on a chart. You come across the rhumb symbol throughout the house which you'll probably recognize from old maps. 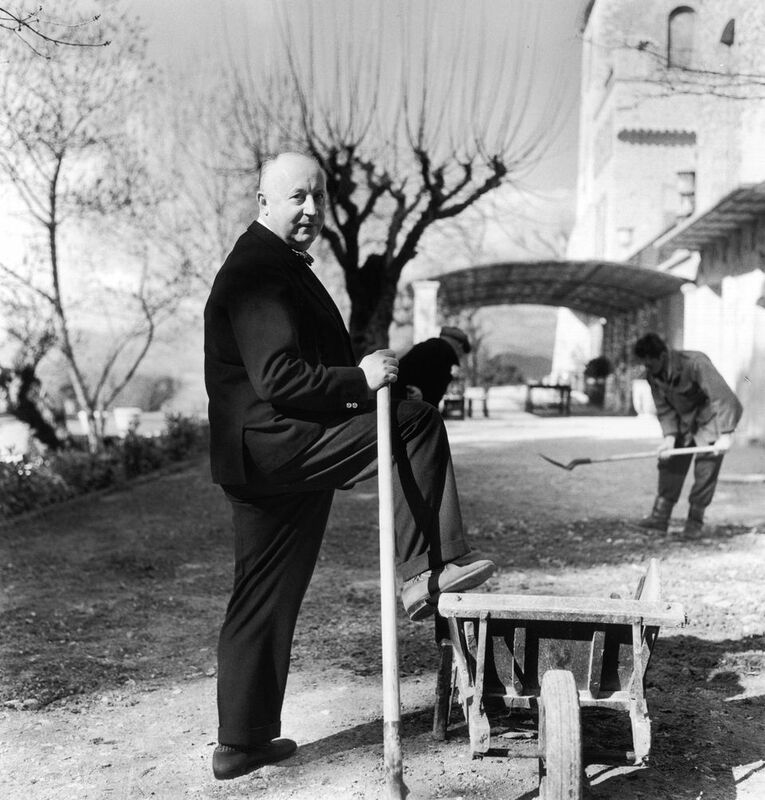 Christian Dior’s parents bought the house in 1905 and although they moved to Paris when Dior was five, the family continued to use the house for holidays and weekends. In 1925 Christian Dior created a pergola with a reflecting pool to make an outdoor living space in the English landscape park that his mother Madeleine had designed. She then added a rose garden, sheltered from the destructive salty winds by a wall along the sentier des douaniers (the path used by customs officers looking out for smugglers). Today the garden is a garden of fragrances, celebrating Christian Dior’s famous perfumes. In 1932 Madeleine died and his father, ruined by the financial crisis of the early 1930s and the subsequent Depression, was forced to sell the house. It was bought by the town of Granville and the gardens and the house opened to the public. From June to September the museum offers perfume workshops for groups up to 10 people, teaching you how to distinguish different scents, how they are extracted and developed. You then learn what are the main ingredients of a Christian Dior perfume, how perfume has evolved and all about the different olfactive families from floral to leather. Workshops are held on Wednesday afternoons at 3 pm, 4 pm, and 5 pm. There’s also a tearoom located in the garden where you drink tea from English porcelain cups in a pretty setting of 1900s style furniture. You can just visit the tearoom and it’s open in July and August from noon-6.30pm. Admission: Adult 4 euros, students 4 euros, under 12 years free. Born into a wealthy family, the young man was able to follow his artistic inclination rather than go into the diplomatic service which is what his family had wanted. When he left school, his father bought him a small art gallery where with his friend Jacques Bonjean he sold works by artists who included Utrillo, Braque, Leger, Dali, Zadkine, and Picasso. When his mother died and his father lost his business, the young Christian closed the gallery and went to work for fashion designer Robert Piguet before military service in 1940. On his discharge in 1942 he worked for couturier Lucien Long with Pierre Balmain, and along with Jeanne Lanvin and Nina Ricci, dressed the wives of Nazi officers and French collaborators, the only people able to keep the industry going. His younger sister Catherine was the name of Miss Dior — she had worked with the French Resistance, been captured and imprisoned at Ravensbrück concentration camp, survived and was liberated in 1945. 1946 saw the founding of the house of Christian Dior at 30 Avenue Montaigne in Paris, backed by Marcel Boussac, a French textile millionaire. Dior showed his first collection the following year when two lines, named Corolle and Huit, took the world by storm. This was the ‘New Look’, a phrase coined by US Harper’s Bazaar magazine editor Carmel Snow, and the name of Christian Dior became synonymous with post-war Paris and its meteoric progress to become the world’s top fashion city. In 1948 Dior moved into ready-to-wear with a new store at the corner of 5th Avenue and 57th Street in New York and launched his Miss Dior fragrance. He was the first to license production of his designs, creating accessories like stockings, ties, and perfumes that were manufactured and distributed around the world. In 1954 Yves Saint Laurent joined the house and when Christian Dior suffered a fatal heart attack on October 25, 1957, took over. Dior’s funeral was as glamorous as his life, with 2,500 people attending, led by clients like the Duchess of Windsor. After Yves Saint Laurent left in 1962, Marc Bohan took over, creating the Slim Look which took Dior’s iconic shape but changed it for a svelte, less voluptuous look that suited the new era of the 60s. In 1978 the Boussac group went bankrupt and sold all the assets, including Dior, to the Willot Group which in turn went bust and sold the label to Bernard Arnault of the luxury goods brand LVMH for ‘one symbolic franc’. Gianfranco Ferre took over as stylistic director of Christian Dior in 1989, then in 1997 relinquished the title to the British maverick designer, John Galliano. As Arnault said at the time: "Galliano has a creative talent very close to that of Christian Dior. He has the same extraordinary mixture of romanticism, feminism, and modernity that symbolized Monsieur Dior. In all of his creations – his suits, his dresses – one finds similarities to the Dior style". In March 2011 Galliano was famously dismissed after his assault on a member of the public and anti-Semitic remarks while drunk in a Paris bar. His former design director Bill Gaytten took over until April 2012 when Raf Simons was appointed. The Christian Dior story is one of ups and downs, of high drama and great wealth — much like the glamorous stars that the everlastingly popular house dresses. The Christian Dior Museum makes a good day if you're staying nearby for the D-Day Landing Beaches. It is also a good link with a tour around medieval Normandy and the trail of William the Conqueror. Check out the other major costume, textile, perfume and fashion museums in France. What's Your Choice for the Best Museums Outside of Paris?